An Eggy toast celebrating.. Women’s Day! 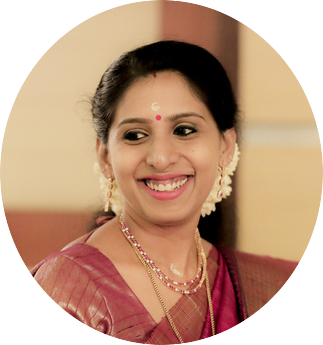 Let me start off with wishing all the wonderful women out there a Happy Women’s Day! then pour into a shallow dish.  Add the bread slices and submerge them in the egg, turning to coat them well. 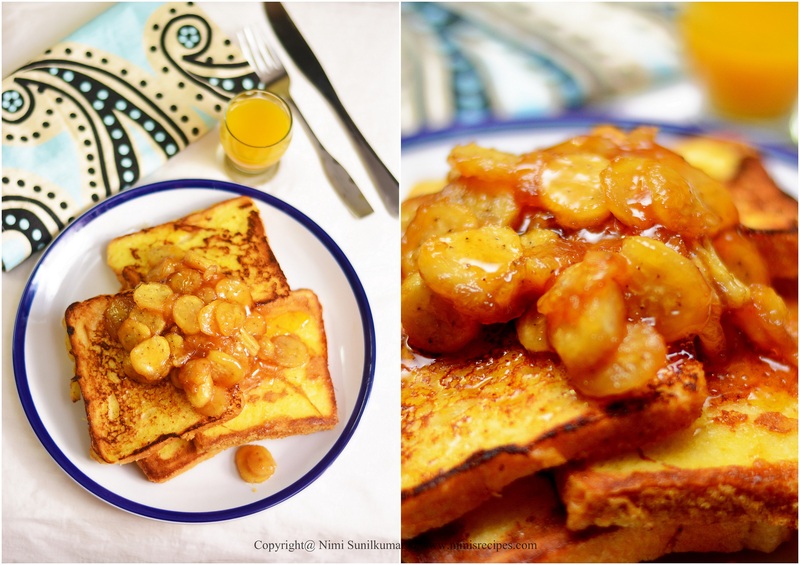  Fry the both sides of the bread till golden brown, drizzling ghee or oil on the sides.  Separate on to a dish.  Peel the bananas and slice.  In a large fry pan over medium-high heat, melt the butter. brown, 2 to 3 minutes.  Sprinkle in the sugar and cook until it melts, about 1 minute. reduced slightly, about 1 minute. 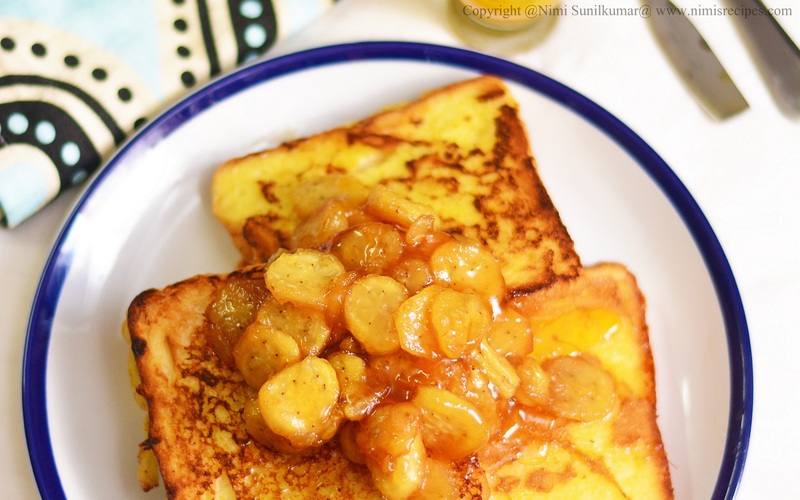  Top the eggy bread with the caramelized bananas…. 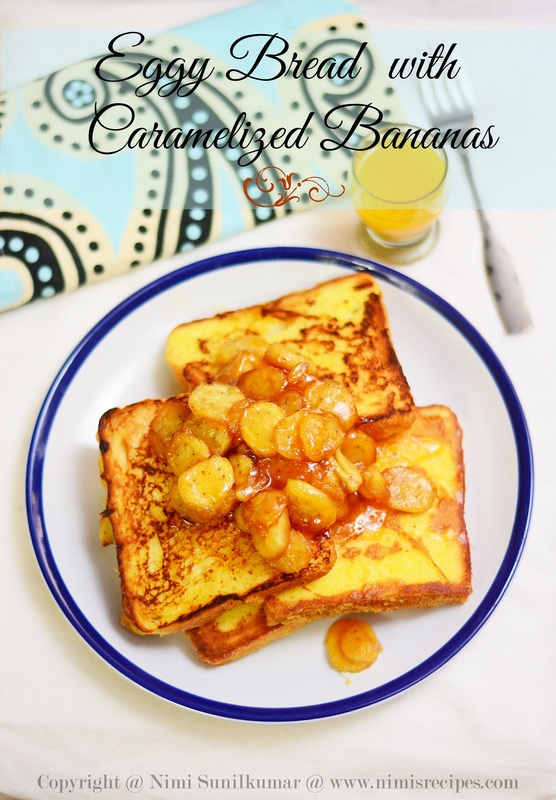 Top the eggy bread with the caremelized bananas…. Planning to have a glass of juice with your eggy bread? « Previous post link Love Nutella…??? Get ready for ..Nutella Twists!! !